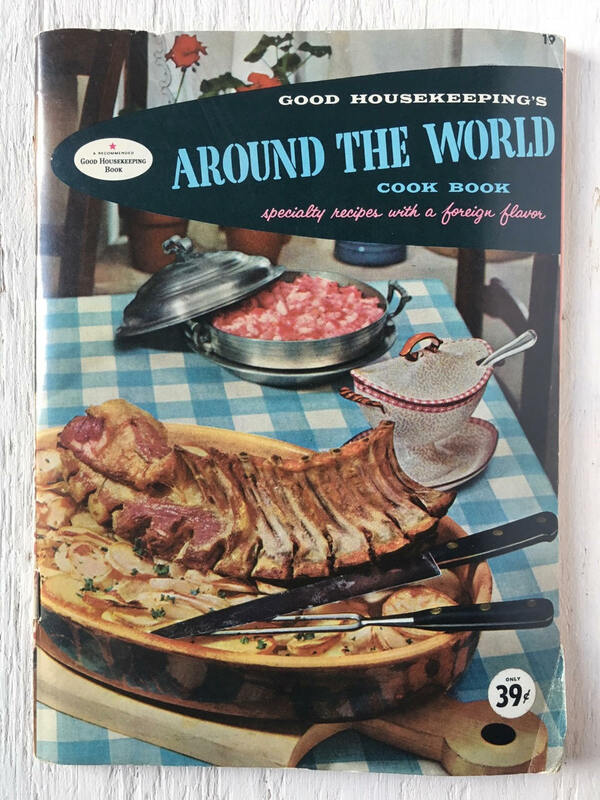 Published in 1958, Good Housekeeping’s Around the World Cook Book “specialty recipes with a foreign flavor”. This copy has slight edge wear and slight creases, but is otherwise in great vintage condition. Around the World Cook Book has 68 pages of recipes and tips and is a great intro to international cuisine. Inside you'll find recipes from Brazil, China, Cuba, Egypt, Haiti, Hungary, Russia, Switzerland and many more! (Not sure how authentic they are tho.) A fun cookbook and great for anyone's vintage cookbook collection.